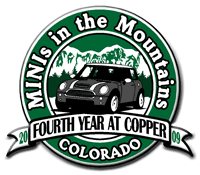 MINIs In The Mountains, or MITM, began in 2006 in Copper Mountain Resort. Subsequent MITM events were held annually in various Colorado mountain locations including Winter Park, Avon (Vail), Aspen/Snowmass and Steamboat Springs. 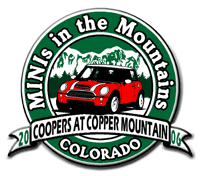 MITM is owned and organized by Colorado MINI Cooper enthusiast club, MINI5280. 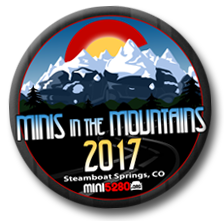 Deep in the Colorado mountains 150 miles northwest of Denver, Steamboat Springs was the center of MITM 2017. At over 6,700′ elevation, with hot springs, a vibrant downtown and surrounded by scenic mountains, Steamboat Springs is the center of many things to see and do. Snowmass Village, near Aspen, Colorado was the site of the 2015 MITM. There were many group rides (routes) available throughout the event, including Independence Pass. Also available was track driving at the private and exclusive Aspen Motorsports Raceway. 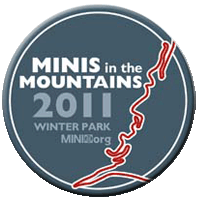 MITM took the summer of 2014 off to allow club members to participate in MINI USA’s MINI Takes The States (MTTS) nationwide event. 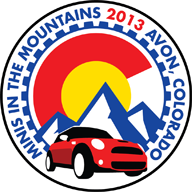 The eighth annual MITM took place in the town of Avon, located 8 miles west of Vail, Colorado. The Christie Lodge was MITM headquarters, where several indoor and outdoor vendors and sponsors were accommodated, as well as a pinewood derby conducted by a local boy scout troop and a wine tasting party. The !Nuf Car Show was held in the beautiful Beaver Creek Resort, several miles up the mountain. A different set than previous years of scenic and fun drives were enjoyed in this new locale. The seventh annual MITM continued the tradition of fun for all with new and favorite group rides (drives) to such destinations as 14,000+ ft. Mount Evans, The Western Dragon, Steam Boat Springs, as well as more than one ice cream run, !NUF Car Show, large MINI group photo, MITM group dinner at a local brewpub, autocross, nearby hiking, biking and much more! New for the sixth annual MITM was an Autocross event featuring several classes pertaining driver experience with autocross since vehicles were limited to MINIs only! Trophies were awarded for the best times in each class. The !NUF Car Show had a wide variety of MINIs and a few Classic Minis too. The famous MITM rides (drives) included several new routes. MINI owners from 23 states plus Mexico enjoyed themselves in the mountains (without the distraction of last year’s MTTS). MITM-5 and MINI Takes The States (Denver Aug. 12-15). 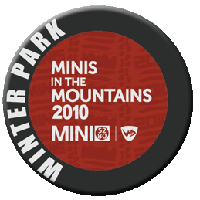 MITM moved over the Continental Divide to Winter Park Resort and shared the national spotlight with MINI USA’s MINI Takes The States (MTTS), which passed through Winter Park and ended in Denver. Folks from near and far enjoyed days of MITM/MTTS events. For many, this was their first look at the new MINI Countryman and MITM. Returning visitors have made MITM a favored August-in-Colorado destination. Some from as far as North Carolina. Many MINI owners have motored to all previous MITM events and say they’ll be back next year. Attendance continues to increase as word is out that this is an event like no other. Volunteer MINI5280 members continue to organize and produce this national event. Coopers returned to Copper Mountain for summer fun at high altitude. More scenic rides and activities are added as more new MINI owners head for the mountains of Colorado. 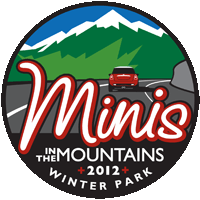 The inaugural MINIs In The Mountains event featuring adventurous, scenic rides and activities for the whole family. Inspired by attending other MINI and Classic Mini events held throughout the country, MINI Cooper owners Jonathan Souza and Rick Gonzales founded the annual event in the beautiful Colorado mountains. Local MINI enthusiast club MINI5280 becomes the sponsoring club of MITM.